After a great donut shop? 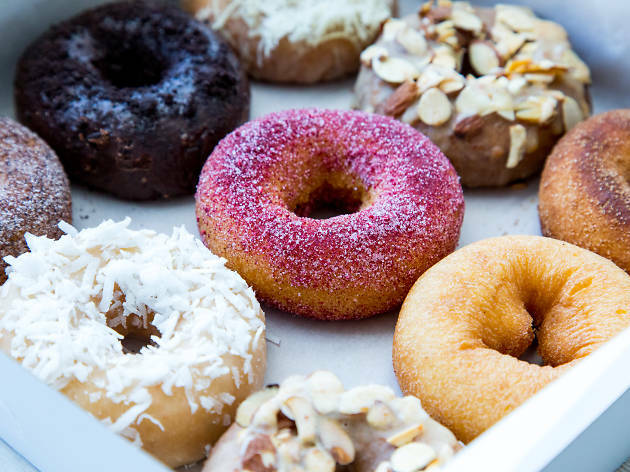 We’ve got the best donut shops in America, for glazed, sprinkled and jelly-stuffed goodness. 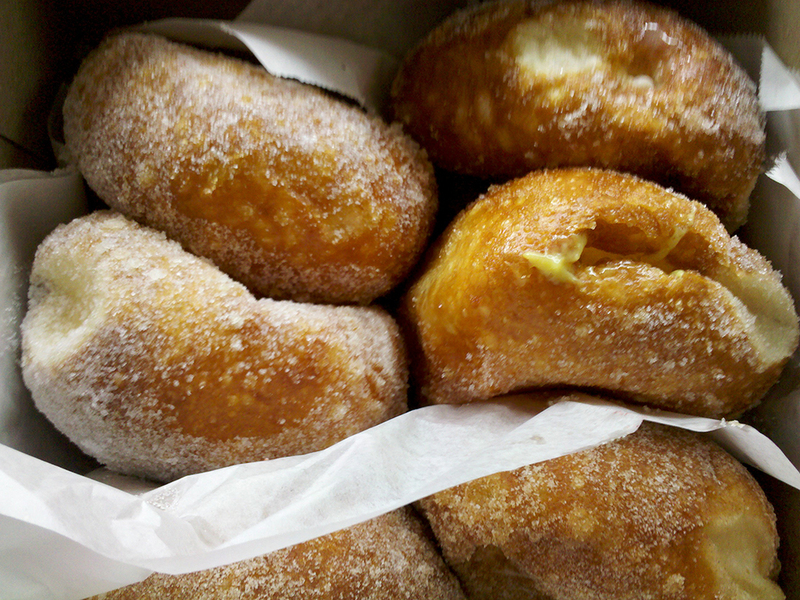 “Malasadas and pao-doce” beckons the towering drive-in sign. 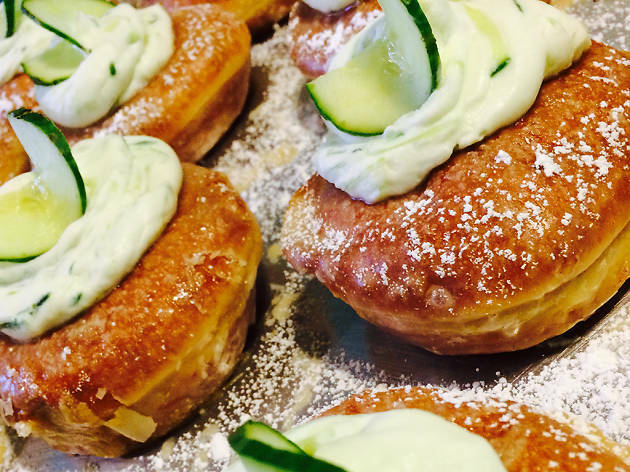 It’s the former—a pillowy, hole-less Portuguese donut—that has locals and tourists alike flocking to landmark bakery, Leonard’s. 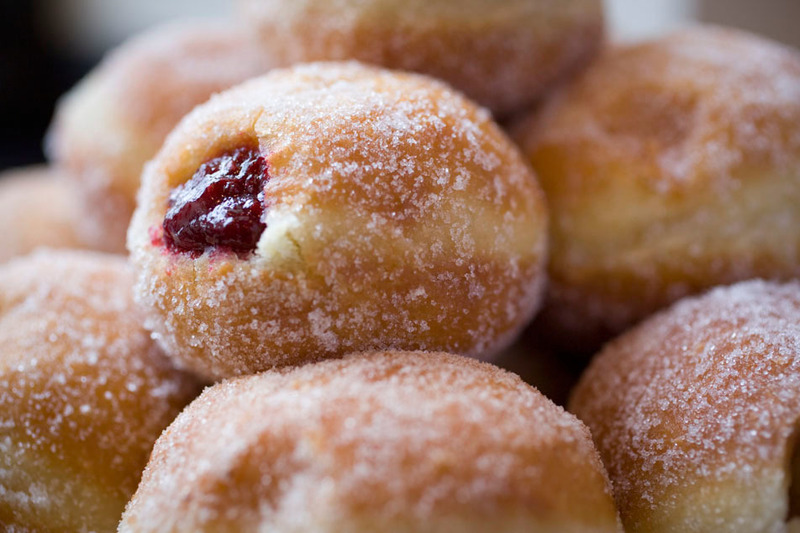 Fried-to-order and rolled in sugar with optional fillings (don’t skip the luscious coconut custard), the exceptionally light rounds are best consumed hot, even if the only place to eat them is in the perennially-crowded parking lot. 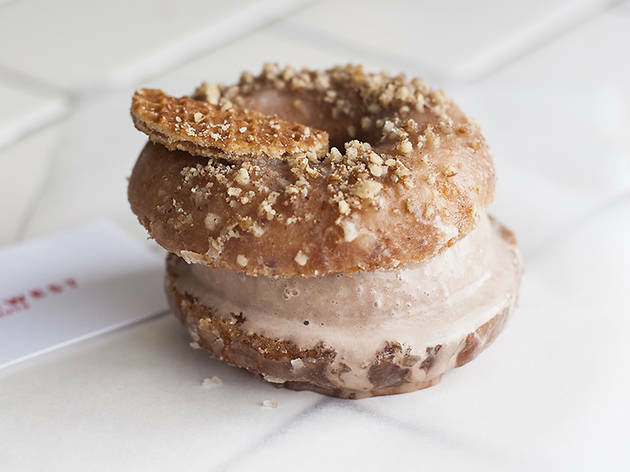 You’ll find this pocket-sized doughnut dive from Chanterelle vet Scott Levine wedged inside a car wash. Their old-fashioned cake-style coffee-dunkers are pulled from an automatic Donut Robot, which fries and cools the rings behind a glass wall as cars are scrubbed and buffed. 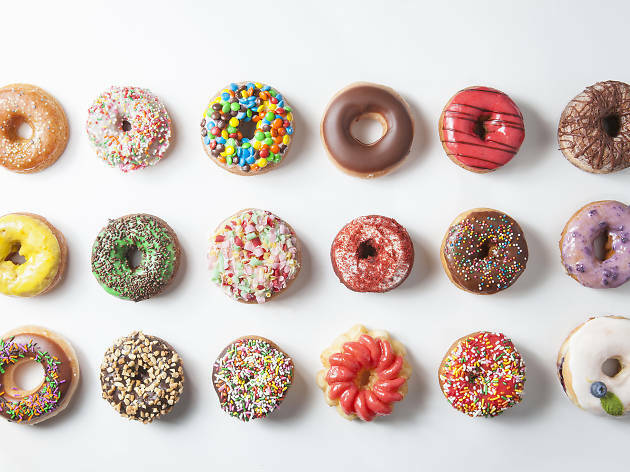 Choose from sugared, glazed or plain pastries in flavors like brown-butter, cocoa-raspberry, lime-coconut and even a shredded halva-topped number. 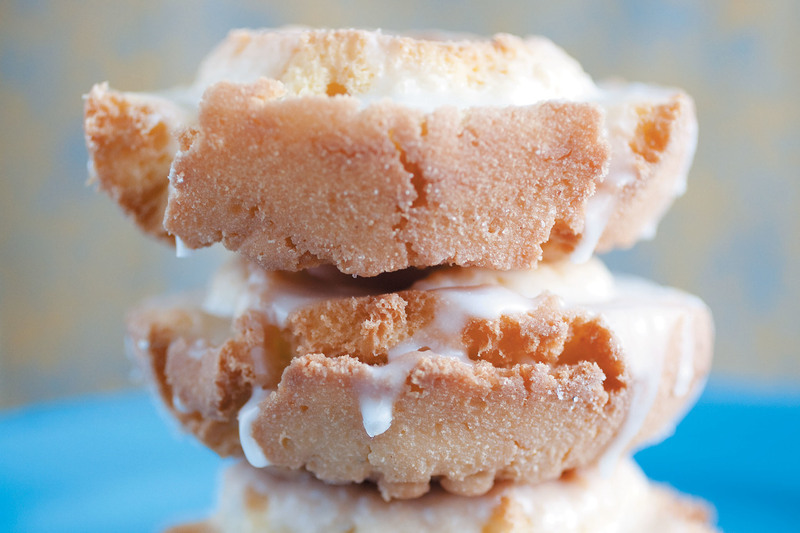 Dynamo took San Francisco by storm in 2008, introducing the world to Sara Spearin’s heavenly little organic round cakes, laced with decidedly 21st-century flavor combos. 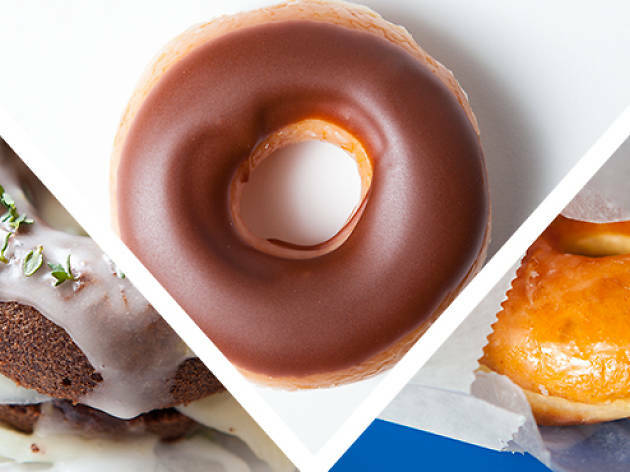 Think: chocolate with raspberry balsamic and black pepper glaze; Fleur de Sel caramel-glazed vanilla bean; passion fruit milk chocolate and the over-the-top maple-glazed bacon apple. 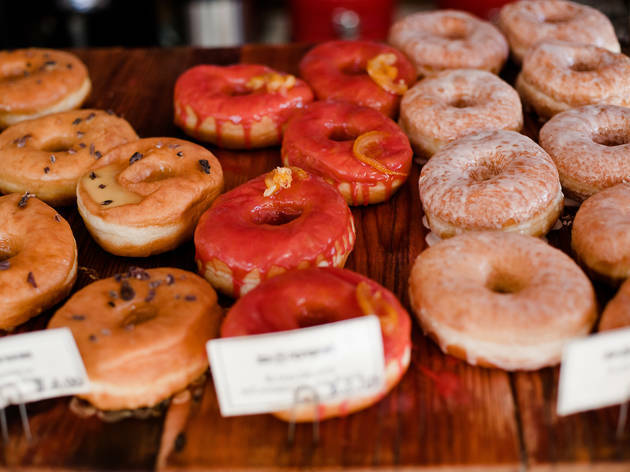 Tag team your donut with a cup of Four Barrel’s finest hand-roasted brews and your probation period as an official San Franciscan is concluded. Note to those who sleep in: Get there by 11am (especially on weekends) or it’s slim pickings. 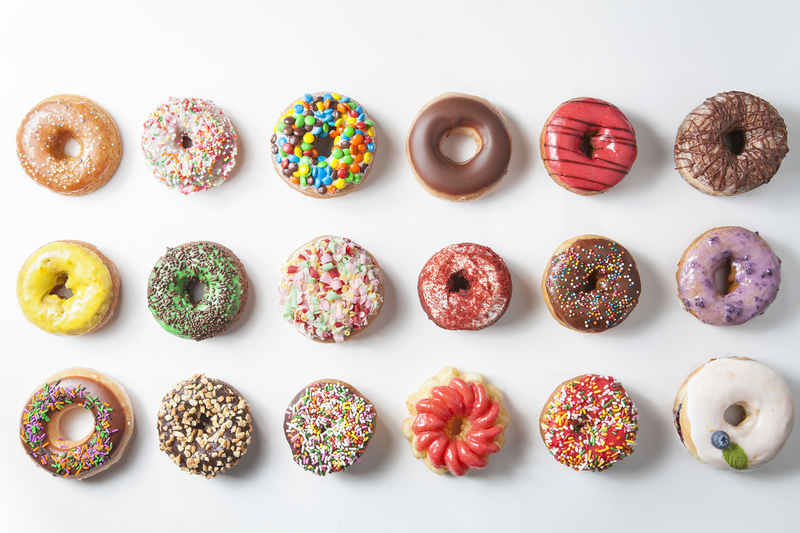 Welcome to Doughnut Vault: the minuscule, chandeliered vestibule (capacity: approximately four) from which donuts appear Monday through Friday at 8am and Saturday and Sunday at 9:30am, only to disappear just as ephemerally—approximately 12 tweets and 90 minutes later. 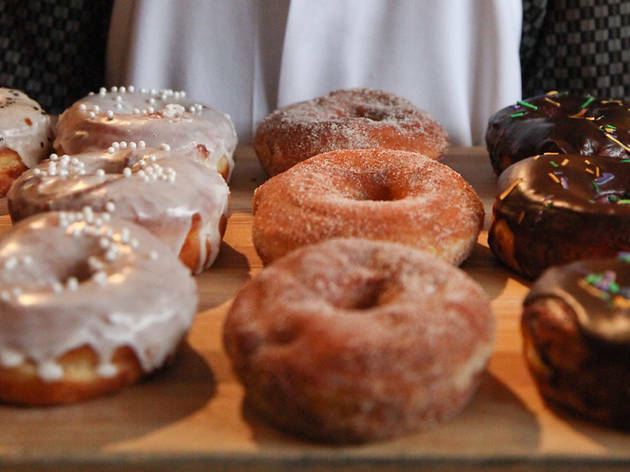 Some 750 donuts are made at this Chicago institution each day, 900 on the weekend. 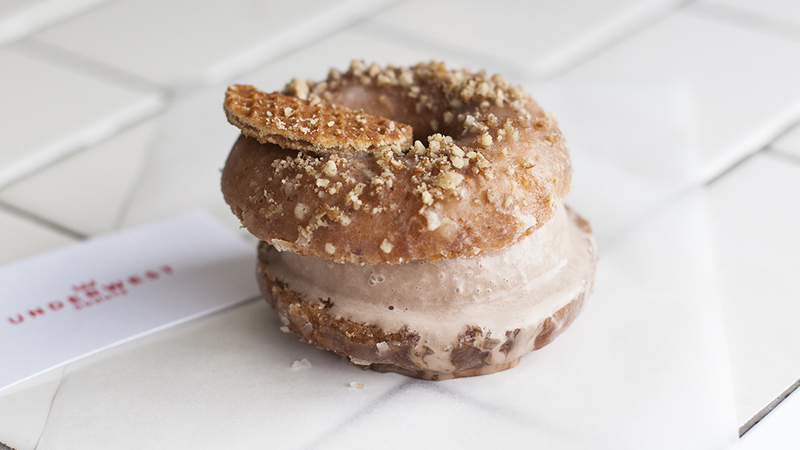 There is no question the rounds of fried dough that emerge from this shoebox—the creation of the restaurateur Brendan Sodikoff (Gilt Bar, Maude’s Liquor Bar)—are as good as any nut being made in Chicago, and many across the country. 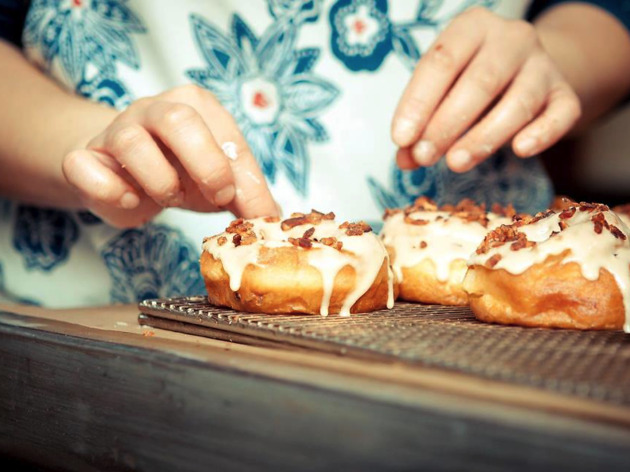 We say keep it simple: Their glazed doughnut is sticky, airy perfection. With owners hailing from multiple corners of the world, it’s no wonder the menu at North Park bakery Nomad doubles as a study in global cuisines. Using organic cage-free eggs and ingredients culled from local farmers’ markets, Filipina pastry chef Kristianna Zabala masterminds quirky combinations like watermelon tamarind chili and ube taro coconut, a brilliantly diverse lineup that—no surprise—routinely sells out before Nomad’s scheduled 4pm closing time. 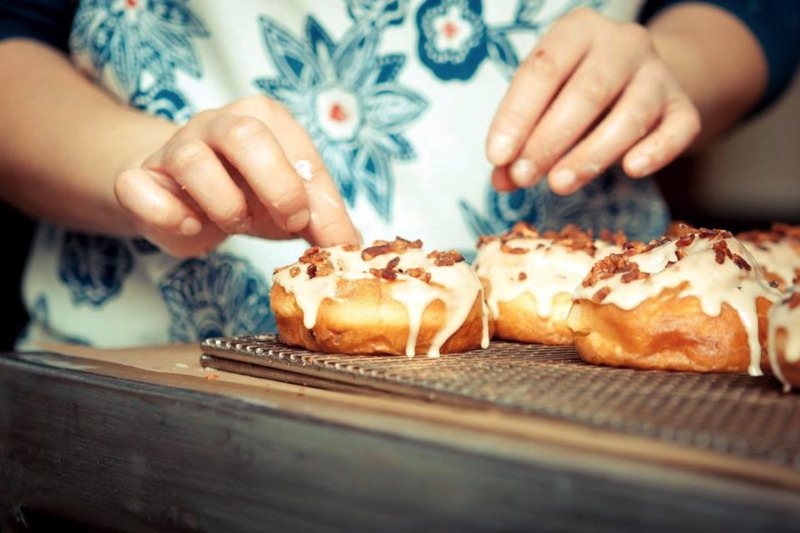 Pastry maven Lisa Clark knows her way with flour and butter, coaxing multiple shapes and styles out of a single master dough. 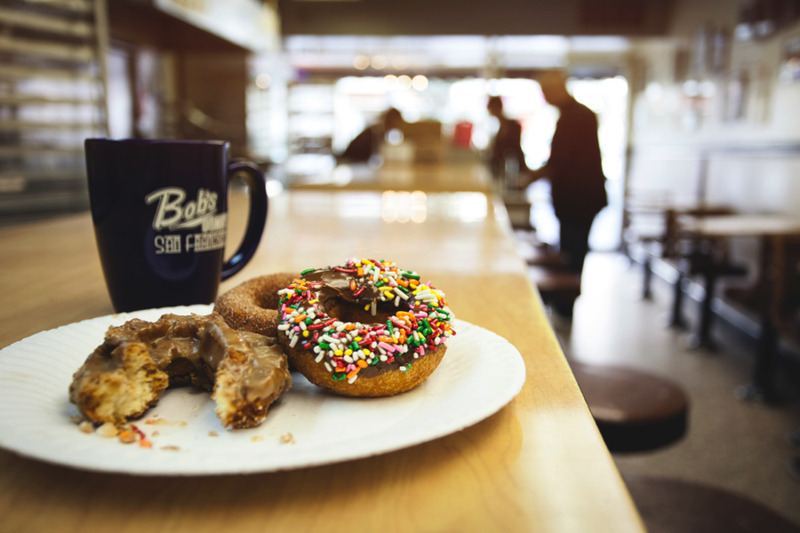 Fluffy bismarcks stuffed with mocha mousse, long bars topped with bacon and double-raised rounds draped in mango glaze rotate through the cheerful storefront, which got its name from daughters Bella and Hanna. The Mojo Monkey moniker comes from Powerpuff Girl villain Mojo Jojo, which may explain why the donuts are so wickedly good. 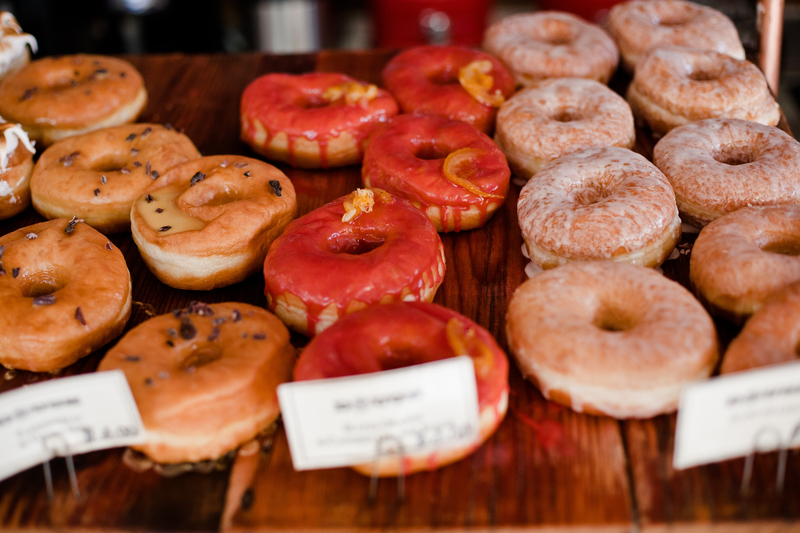 Donuts do not get any fresher than those at Clinton Hill’s Dough. 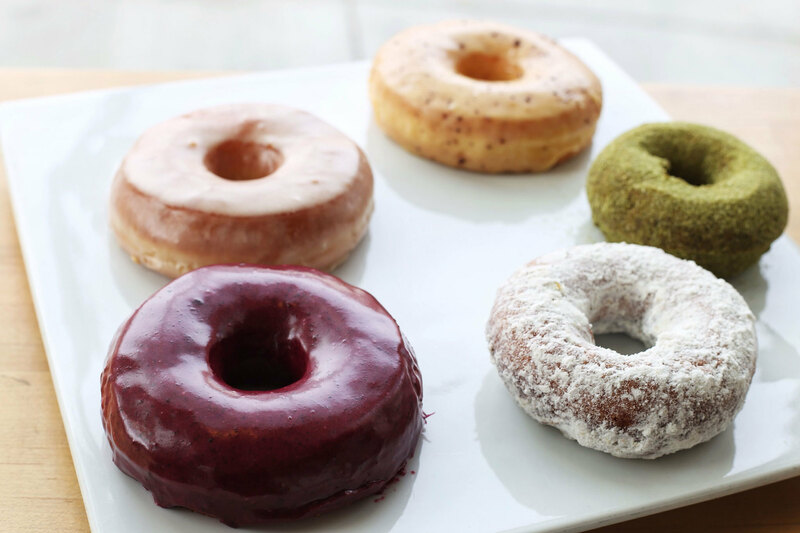 The colorful yeast doughnuts are made throughout the day completely from scratch using seasonal ingredients (the staff even steeps the hibiscus it uses for its deep-pink hibiscus doughnut). 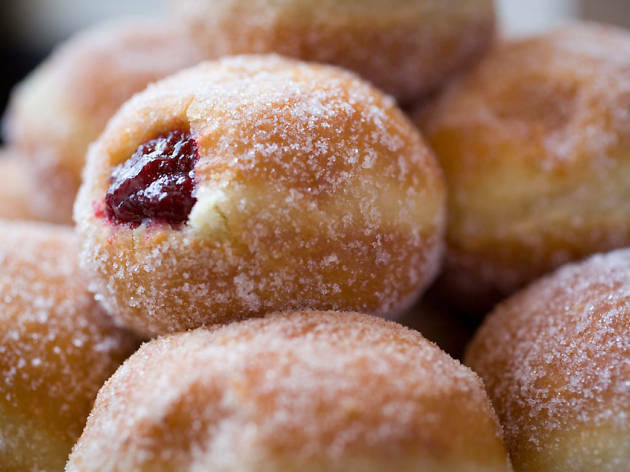 In addition to eight varieties available daily—cinnamon sugar, plain, chocolate with cacao nibs, salted caramel, dulce de leche, cafe au lait, lemon poppy and coconut—you’re bound to come across one or more new varieties each week, based on new market finds, like blackberries. 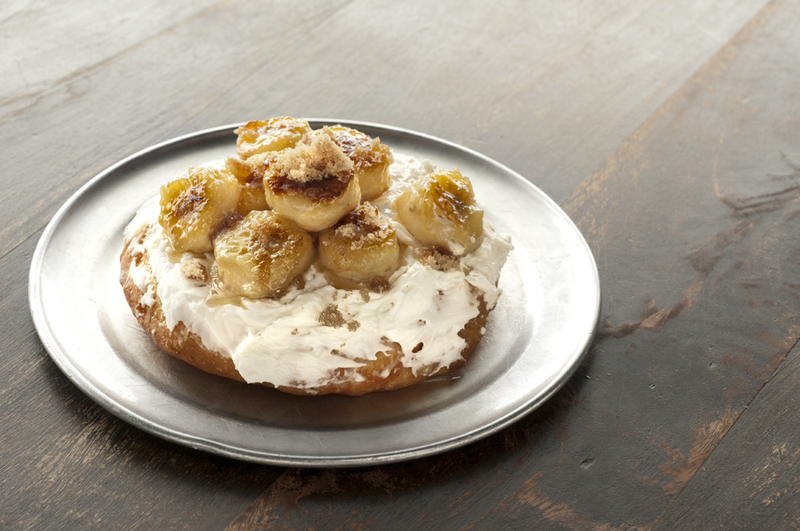 Gourdough’s doesn’t kid around with its tagline of “Big. Fat. 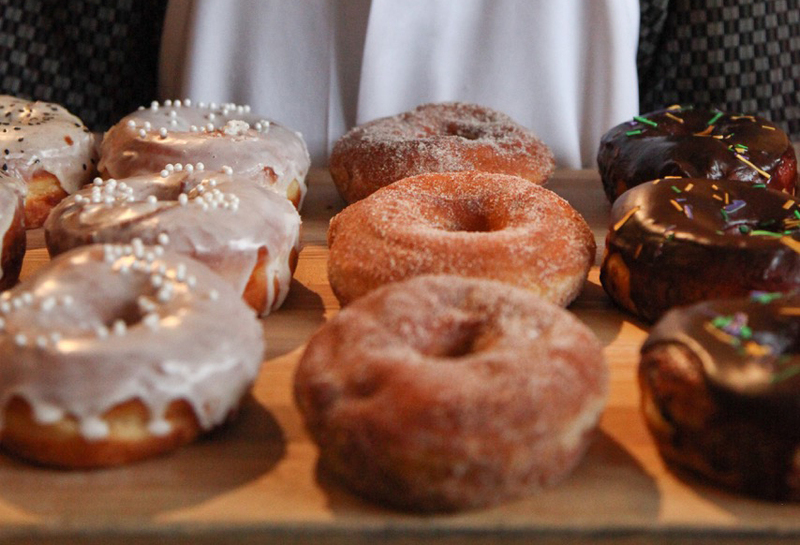 Donuts”—forks are necessary when digging into its behemoth creations. 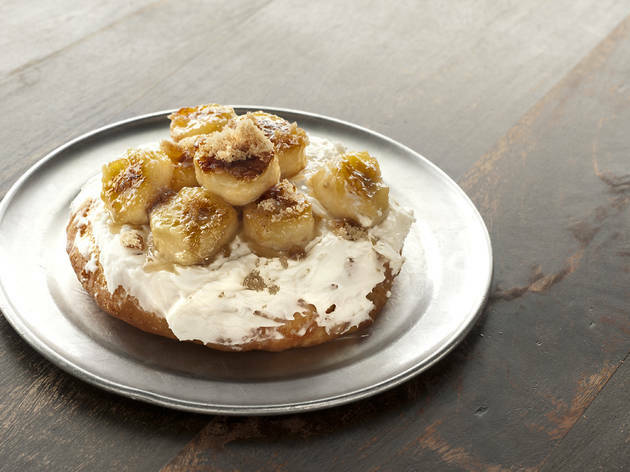 While the indulgent toppings may draw the most buzz—the donuts themselves are no slouch, acting as golden, yeasty beds for the likes of grilled bananas, bacon and peanut butter icing (the Fat Elvis) or marshmallows, brownie bites and chocolate fudge (the Heavenly Hash). 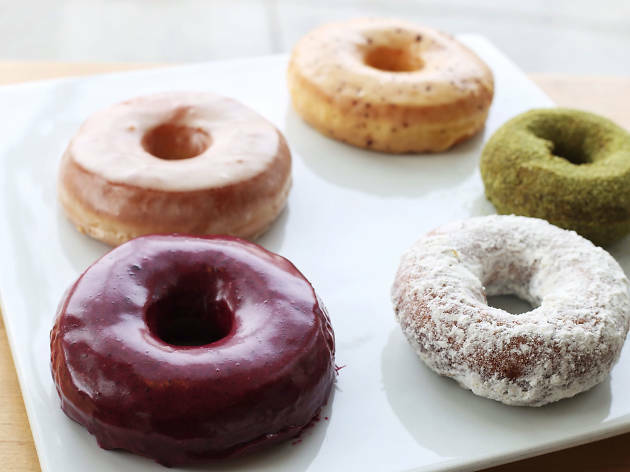 Blue Star Donuts, Portland’s beloved donut shop (you’ll find four shops in Stumptown) now has set up a brick and mortar in Venice. 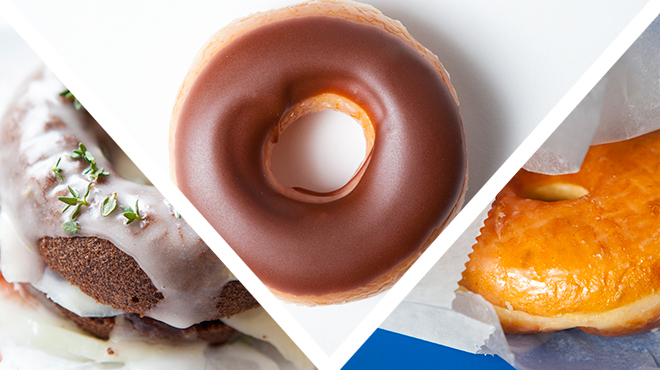 The secret ingredient to Blue Star’s sumptuous donuts? 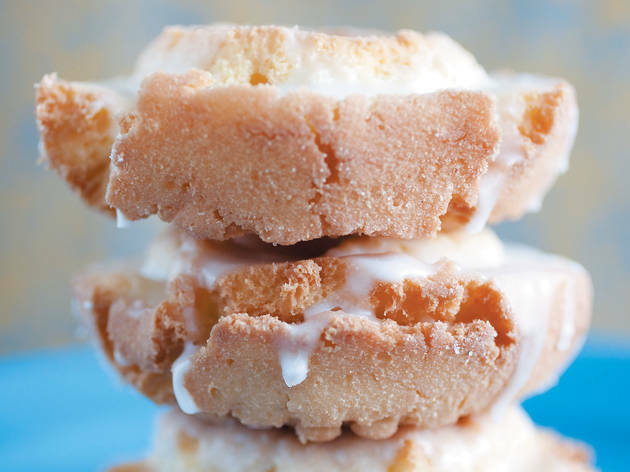 Butter—and lots of it. 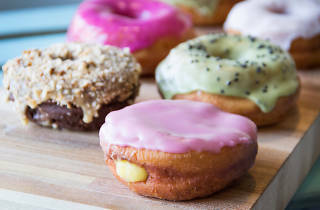 Using a brioche-style dough that requires a full day’s worth of work and wait, the puffed-up discs are gloriously rich, balanced out by bright fruit glazes like bourbon-infused blueberry-basil or cayenne-dusted passion fruit. 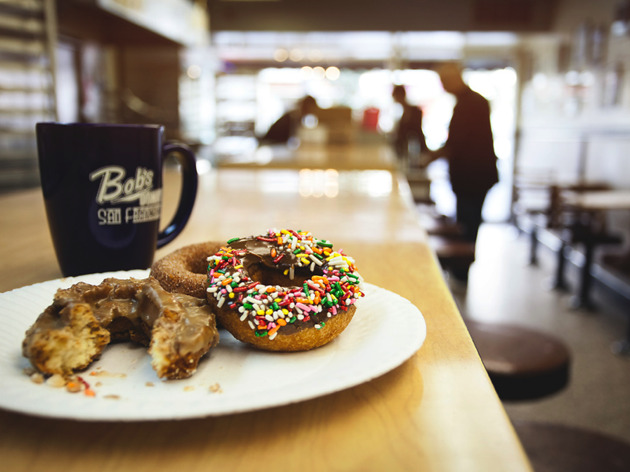 Beignets may get most of the glory in NOLA, but Cafe Du Monde is hardly the only donut powerhouse in town. 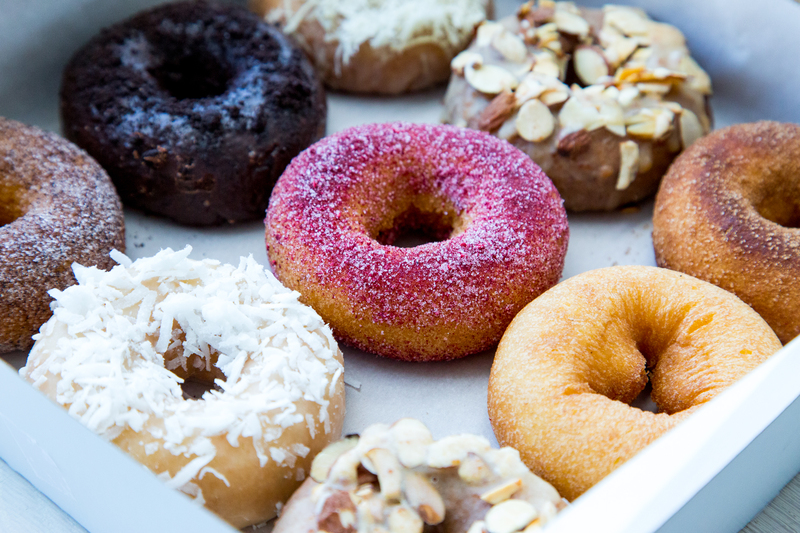 Housed inside a long, wood-clad space in the Garden neighborhood, District offers up stiff competition in the form of next-level yeast donuts. 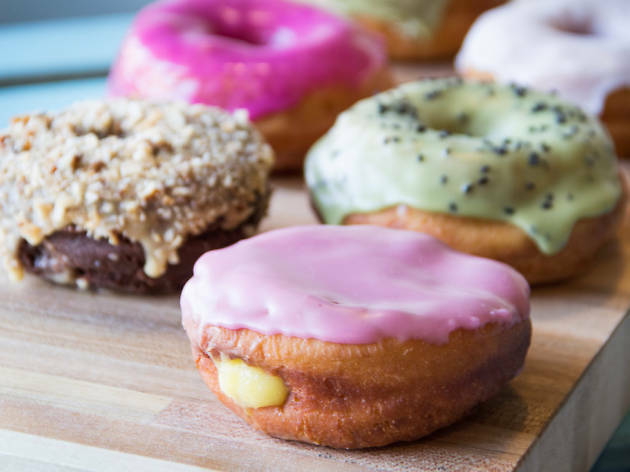 Seven options are available daily, each more creative (and Instagrammable) than the next—think Vietnamese coffee, five spice and a heavenly brown butter pistachio.